LAS VEGAS, NV--(Marketwired - June 06, 2016) - Vacationers dream of visiting Florida, the Sunshine State and home to hundreds of miles of glistening, sandy beaches. Just along Florida's Atlantic Coast is Ormond Beach, a wonderful city to retreat, find blissful relaxation, and take part in plenty of water activities at Tomoka River. A short drive away from Daytona Beach, Ormond Beach provides charming beauty and convenient access to nearby fun. Diamond Resorts reviews and shares its top two resorts for guests to enjoy a sun-soaked seashore getaway in Florida: The Cove on Ormond Beach - North Tower and The Cove on Ormond Beach - South Tower. With elegant accommodations and an ideal location, it's easy to see why guests return year after year to these first-class resorts. Both of these oceanfront hotels are situated right next door to one another, and provide guests the ultimate Florida experience with spectacular views, expert hospitality, and comfortable condos. The towers stand bright and proud against the blue sky, and the lush palm trees that line the exterior give a warm tropical ambiance. Both the North Tower and the South Tower boast the perfect location to enjoy all the local charm that Ormond Beach offers as well as easy access to the excitement of Daytona Beach. The Cove on Ormond Beach - North Tower, the first top pick from Diamond Resorts reviews, offers spacious studio, 1- and 2-bedroom condos with comfortable furnishings. The only thing guests need to do is kick their feet up and relax in style as they enjoy a fabulous Florida sunset on the suite balcony. Perfect for families, couples, or individuals, the North Tower has everything needed for a memorable stay: heated pools, fully-equipped kitchen, outdoor hot tub, and lulling sound of the waves. Adventure is just a few steps from the resort, as over 150 feet of sandy beachfront is right outside-perfect for those early morning or evening strolls on the beach. Enjoy a decadently delicious meal at a nearby restaurant within walking distance, take a short drive to the Ormond Beach Winery, or visit Universal Studios which is only an hour away. 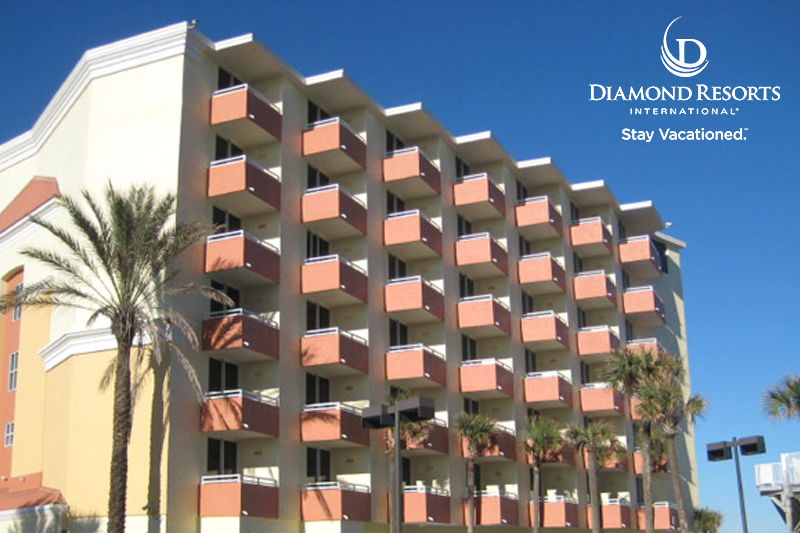 Diamond Resorts reviews rates The Cove on Ormond Beach - South Tower as the ideal family beach getaway, and for good reasons. The convenient location allows guests to enjoy the best in land and sea activities, from shelling and deep sea fishing to golfing and horseback riding. Spend days by the water soaking up the sun in the provided beach chairs, or hanging out at the pool deck grilling up a great meal. There's plenty of shopping and dining to be done at nearby downtown Ormond, or visit the Ponce de Leon Inlet Lighthouse, Florida's tallest lighthouse. The South Tower, with the same striking vibrancy as its twin resort, provides exquisite accommodations for a relaxed approach to life. All guests are granted access to both resorts at The Cove on Ormond Beach, and room transfers are an option, which is wonderful for vacationing families that have more members arriving later during their stay. The Cove on Ormond Beach - North Tower and The Cove on Ormond Beach - South Tower provide an extraordinary vacation home so guests can make Florida memories that last a lifetime.